Every homeowner should be educated on their options to avoid a foreclosure. Many options are available to distressed homeowners however; short sales are becoming increasingly popular due to its abilities to assist homeowners. Short sales offer cash back incentives, a credit score that suffers far less than one of a foreclosure and the assistance of a short sale specialist at no cost. Something each and every homeowner in worries about is how their credit will be affected once a short sale all is said and done. The truth is, a short sale itself may drop your credit score by 50 points, however it will the delinquent mortgage payments that do the most damage; each missed payment ranging around 30 points. When you compare a short sales versus a foreclosure you will see that a foreclosure may lower your credit score by 300+ points and sit on your credit report for up to ten years. A short sale will typically recover within two years while usually displaying paid as negotiated or settled in full on your credit report. A foreclosure also has the potential to hold you back from a certain career path because it is not uncommon for employers to do a credit check before making a decision. 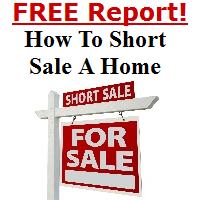 One of the greatest benefits of a short sale is having an experienced short sale Realtor assisting you throughout your short sale. The goal of a short sale Realtor is to handle all negotiations on your behalf while working aggressively to get your home sold. A highly qualified expert in short sales will be able to keep constant exceptional communication with all parties involved while offering their services to you, at no cost; your lender will typically pay all commission and closing costs. There is no reason to let your home go into foreclosure when you have options available and professionals who dedicate their lives to helping distressed homeowner.